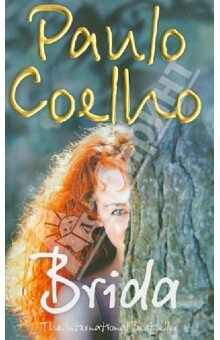 Brida Harper Collins UK This is the story of Brida, a beautiful young Irish girl, and her quest for knowledge. On her journey she meets a wise man who teaches her about overcoming her fears, and a woman who teaches her how to dance to the hidden music of the world. They see in her a gift, but must let her make her own voyage of discovery. As Brida seeks her destiny, she struggles to find a balance between her relationships and her desire to transform herself. A moving tale of love, passion, mystery and spirituality from the master storyteller and author of "The Alchemist". This is the story of Brida, a beautiful young Irish girl, and her quest for knowledge. On her journey she meets a wise man who teaches her about overcoming her fears, and a woman who teaches her how to dance to the hidden music of the world. They see in her a gift, but must let her make her own voyage of discovery. As Brida seeks her destiny, she struggles to find a balance between her relationships and her desire to transform herself. A moving tale of love, passion, mystery and spirituality from the master storyteller and author of "The Alchemist". –40 % Выгода 199 ₽ Алхимик 21 рец. –40 % Выгода 120 ₽ Алеф 7 рец. –40 % Выгода 112 ₽ Валькирии 5 рец. –40 % Выгода 112 ₽ Пятая гора 7 рец. –40 % Выгода 112 ₽ Дьявол и сеньорита Прим 3 рец. Если вы обнаружили ошибку в описании книги "Brida" (автор Paulo Coelho), пишите об этом в сообщении об ошибке. Спасибо!